July 24st, 2017. Looking for a unique travel experience? 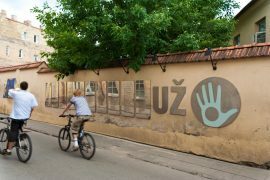 Vilnius, Lithuania, invites to dance, drink and sleep in former air raid shelters and bunkers that are located throughout the city, reminiscent of the bygone Cold War era. During the Cold War, nearly 1000 elaborate bunkers and air raid shelters were built across Lithuania, officially designated for population protection up until 2009. The majority of bunker locations were unknown to the general population, a guarded secret of the special Soviet forces. Once the Cold War ended, and the nuclear power reactor was shut down in Ignalina Power Station (condition to join the EU), nuclear blast threats were considered minimal, prompting bunker irrelevancy. While the majority of shelters remain abandoned, and a good part of them were reimagined as museums, hotels, bars, nightclubs or gyms. Some of the characteristic features of the shelters include hermetically sealable doors, as well as water and air supply and filtering systems. Stay at a boutique hotel/airbnb rental, built in a repurposed air raid shelter. It even features a Spa, a game room and VIP suite. One of the most unique bars in Vilnius – Alaus Namai – is also a former bunker that has been repurposed, and now serves unique traditional Lithuanian brews. It is also a stop along the famous Lithuanian beer tasting tour. Club Cuba is a dance club in the northern part of Vilnius, located in a former bunker. The club features many unique details – such as authentic doors to the secret hiding room and air filters – that have been integrated into the decor. One of the most impressive bunkers, which is now a museum, is located in Kaunas. It was built under a factory, and is now called the “KGB Bunker”. The museum offers a large collection of KGB spy technology that surprisingly still works today. You can visit it independently, or join an excursion. Those looking to dig deeper into Cold War relicts, can visit a ballistic missile silo and rocket launch base that was equipped to destroy all Europe. The rocket base is located in the Zemaitija National Park, as a part of the Cold War Museum (During 1963-1978, four medium-range ballistic missiles have been deployed at the base, armed with 2- megaton power thermonuclear warheads). 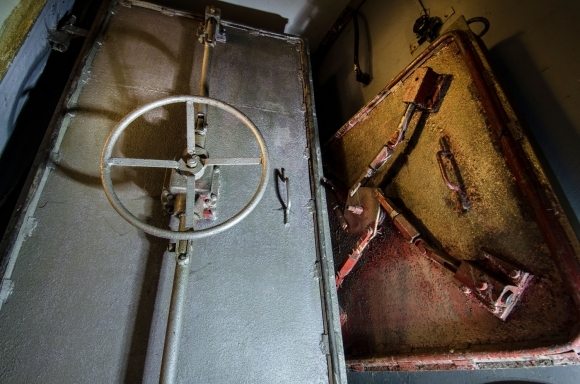 If mere visits to Soviet bunkers are not enough to stir your imagination, there is also a possibility to time-travel to USSR and experience KGB-style interrogation in a bunker outside of Vilnius that hosts interactive experiences, called Survival Drama. Participants will be treated as citizens of a totalitarian state – they will be met by guards with dogs, interrogated, taken through a maze – and finally, served Soviet-style dinner. 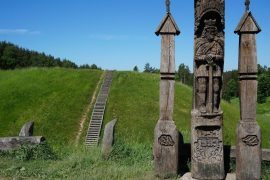 Visiting bunkers in Lithuania would certainly be a unique experience, and a number of excursions can also integrate visits to other local attractions. 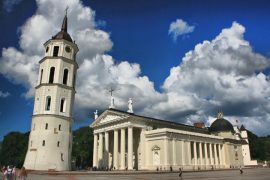 To find out more about Soviet heritage tours in Lithuania, please visit Vilnius in Love.